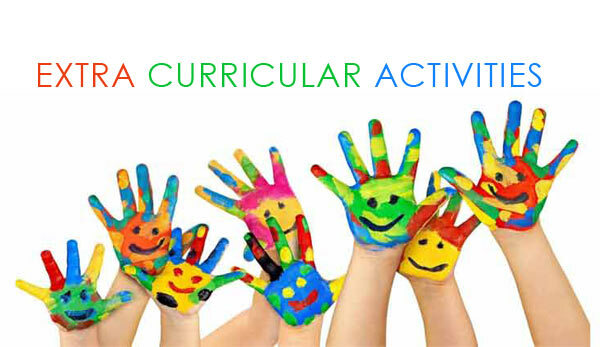 Extracurricular activities (ECAs) are basically the activities that we do besides from our academic work or, we can say, normal academic curriculum. For instance, It can be – getting involved in some kind of sports, topic-specific clubs, learning to play musical instruments, volunteering, part-time work or even entrepreneurship. Getting involved in some kind of extracurricular activities is one of the best investment that we could make in our lives because we would have lots of benefits to cherish from it. The best thing about ECAs is that it set the base for soft skills development. While our education system does the best in preparing us both technically and academically, but we still lack proper soft skills: leadership, communication, networking, team-management, time-management. ECAs, by filling that gap, give us the opportunities to lead a team, build our social circle, handle complex problems and much more. Playing a game of cricket, for instance, test our patience, make us handle some extremely difficult situation, introduce us to new people from the same field; indeed strengthening our soft skills. Similarly, it assists us in finding ourselves. ECAs give us the opportunities to express ourselves, explore our interests and hence make us find our hidden talents. We never know the things where we are good at unless we try them out. For example, we never know whether we like playing piano unless we play it. As we play it again and again, we get to know if it is our thing or not. So for those people, who are yet to find their unique talents, make sure that you explore different activities and grab every opportunity that you get without any hesitation so as to explore your interests. In addition, it increases our chances of employability. Employers always prefer to employ those candidates who are well rounded, who have balanced both their academics and ECAs quite decently. For instance, most employers’ value soft skills like communication and leadership over technical skills and good academics while recruitment. Furthermore, for those millennials who want to get into good university or college, having a good Grade point average (GPA) is not enough alone, well-balanced involvement in ECAs too plays a crucial part in admission. Overall, Involvement in ECAs has both intrinsic and extrinsic benefits if we look both in the short and the long run. The seeds of personality development start to boom exponentially as we take more and more participation in ECAs. So make sure that you boom these seeds as soon as possible by taking part in ECAs as earlier as possible. 0 responses on "Why are extracurricular activities (ECAs) important?"